Block 17 this week. We are so close to finishing. I love this sweet Tulip Block. All the rain outside is making everything turn green quickly. Spring is the perfect time to be making a tulip block. 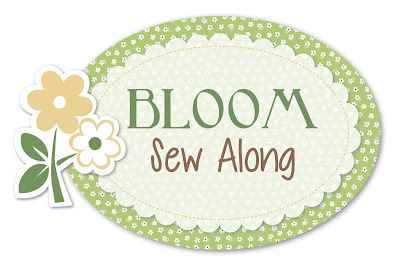 you will need to participate in this Bloom Sew Along. 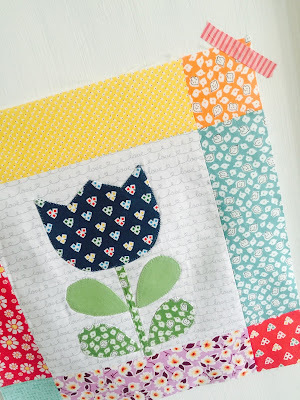 Love your tulip block! We had deep, deep darker purple tulips that looked almost black at our old place and I loved them along with all the brighter ones that grew. 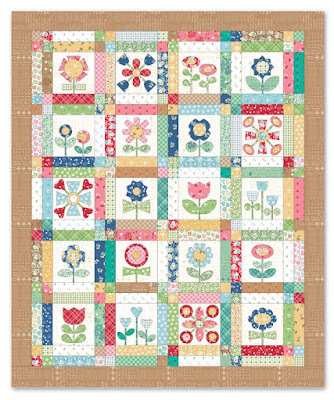 Your tulip block reminds me of them. 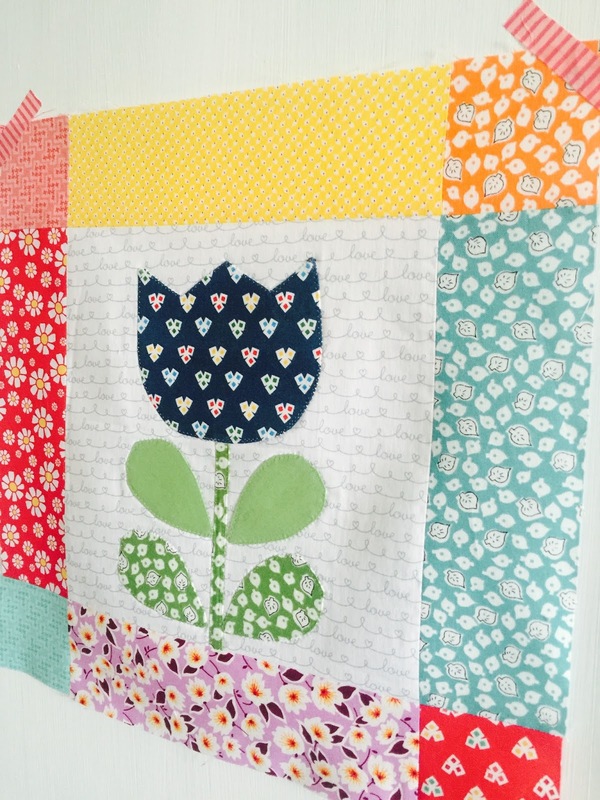 Love seeing your blocks in this fabric.